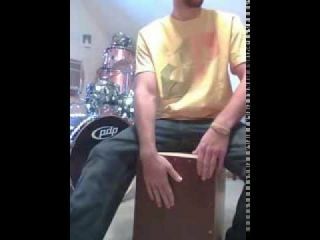 I hadn't played my cajon in a while and since it is the Christmas season I thought it fitting to play along with a Christmas tune. I know its not perfect, but i just sat down and recorded 1 run through of the song without really practicing or anything, so dont judge me too hard. lol. I am planning to buy 2 new cajons for me, I found this guide http://cajonguide.com/the-box-..., you can take a look too, and tell which one you like most, it will be helpful for me. Anyway, hope you enjoy my rendition of -Pentatonix "Little Drummer Boy".